Our executive leaders are at the forefront of GE Capital’s diversified portfolio of businesses, where they foster an environment that encourages employee integrity and professional development. Get to know the remarkable men and women who are leading GE Capital in the future. Alec Burger is President of GE Capital, and president and CEO of GE Capital Aviation Services (GECAS). Appointed to lead GE Capital in January 2018, Alec is responsible for financial operations in 34 countries and ~$150B in assets. Alec joined GE in 1991 and was named a GE officer in 2007. 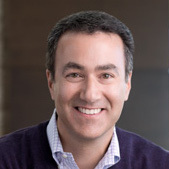 He has built GE Capital businesses in both North America and Europe, holding key leadership and business development roles, and leading several major strategic real estate acquisitions in the U.S., including Heller Financial, Debis and Security Capital. He has a proven record of growing businesses and talent, globally. Since taking the helm at GECAS in 2015, the $41B commercial aircraft financing and leasing unit of GE, has performed at record levels under Alec’s leadership. He previously served as president and CEO of GE Capital Real Estate, where he oversaw the unit’s $38B portfolio. Alec led the Real Estate team through its strategic disposition, which was the first big deal in the successful transformation of GE Capital. Alec joined GE from Bain & Company, and before that was a mechanical engineer at Cabot Corporation in Boston. Alec earned a bachelor’s degree in mechanical engineering from Trinity College and received his MBA from Northeastern University. He serves on the board of the National Multiple Sclerosis Society. Born in London, Alec has dual citizenship with the U.K. and the U.S.
Dan Colao is Chief Financial Officer of GE Capital, responsible for strategic and financial planning, controllership, tax and reporting. Prior to being named to his current role in February 2017, he served as GE Capital's Vice President of Global Financial Planning and Analysis for six years. Dan joined GE in 1988 as a member of the company's Financial Management Program. 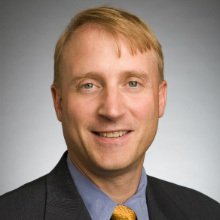 He has held a variety of finance leadership positions within the company, including serving as Chief Financial Officer for GE Capital Real Estate's International business, GE Consumer Auto Finance, GE Fleet Services, GE Vendor Financial Services, GE Aviation Services, and GE Asset Management. In 2007, Dan left GE for Lehman Brothers to be Managing Director and Global Chief Financial Officer for two divisions at the company. He rejoined GE in 2008 as Chief Financial Officer of GE Asset Management and was appointed a GE Officer in 2013. Dan earned a Bachelor of Science in Finance from Boston College. Steve is responsible for the technology strategy and delivery used to originate and operate GE Capital’s $80B global portfolio. He also oversees the multi-year execution and transition of technology service agreements supporting $200B in divestitures across multiple buyers. In addition, Steve is the CIO for GE's global Treasury organization which manages funding for $300B of financial assets and cash operations for trillions of dollars in transactions annually. 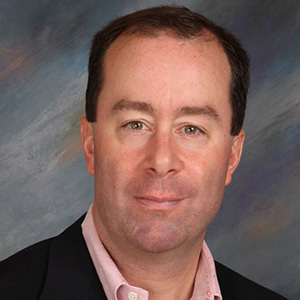 Prior to these roles, Steve was the Chief Information Officer for GE's Global Growth Organization, where he led IT execution in all regions outside the U.S. Steve joined GE in 2001 as an Integration Manager in GE Commercial Finance. Subsequently, he held roles including Project Management Office Leader, Master Black Belt, Global Program Manager and Business Intelligence Leader. From 2007 to 2010, Steve served as CIO and Quality Leader for GE Working Capital Solutions, a global accounts receivables management business. In 2011, he became Senior Vice President – Services and Technology at GE Asset Management. Steve began his career with Andersen Consulting where he gained expertise in process re-engineering, change management and large-scale system implementations. He holds a Bachelor of Science degree in Biomedical Engineering from Rensselaer Polytechnic Institute. Christopher Moore is the General Counsel for GE Capital and also serves as General Counsel for GE Corporate Treasury & Capital Markets. In these roles, he leads the legal and compliance functions of both organizations. Chris joined GE in October 2008 as Senior Counsel, Litigation & Legal Policy, working as a member of the Corporate Litigation team based at GE’s headquarters in Fairfield, CT, where he managed a global portfolio of significant litigation, arbitrations, government and internal investigations, and regulatory matters at GE’s various business units. In April 2013, he was appointed Global Head of Litigation & Legal Policy for GE Capital, managing a team of lawyers handling a broad portfolio of international disputes and providing strategic advice and direction in connection with the GE Capital Exit Plan announced in April 2015. In February 2016, Chris was named General Counsel for GE Corporate Treasury & Capital Markets, in addition to his continuing responsibilities as Head of Litigation for GE Capital. 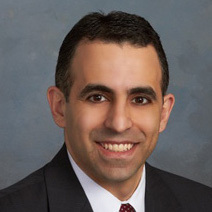 He was appointed General Counsel of GE Capital in January 2018. Before joining GE, Chris was a Partner at Goodwin Procter LLP in Boston, where he developed a broad practice spanning securities and corporate governance, internal and government investigations, and other complex litigation in the areas of financial services, aerospace, and real estate. During his time in Boston, Chris served as Chairman of the Judicial Nominating Commission for the Commonwealth of Massachusetts and as a Commissioner of the Massachusetts State Ethics Commission, appointed to both positions by Governor Mitt Romney. Before joining Goodwin in 1999, Chris was an associate in the Civil, Criminal, and Constitutional Litigation group at Sidley & Austin in Washington, D.C.
Chris is a 1988 graduate of Cornell University with a degree in history and a 1995 graduate of the Northwestern University School of Law, where he was an Articles Editor of the Northwestern University Law Review and a member of the Julius H. Miner Moot Court Board. Following law school, Chris was a law clerk to the Honorable Michael S. Kanne of the United States Court of Appeals for the Seventh Circuit before joining Sidley & Austin in 1996. Based at GE Capital headquarters in Norwalk, Chris and his wife Kate have two children, Brendan and Colleen, and live in Weston, Connecticut. Chris is an EMT with Weston Emergency Medical Services and serves as a member of the Board of Directors of the New England Legal Foundation and of Street Law, Inc.
Sharon Talbot is the Director of Communications for GE Capital and for GE Global Operations. She is a global executive leader and trusted advisor to senior executives on key issues. She has diverse consulting and in-house experience, in leading both business transformation and running daily operations, across large multi-national companies. Sharon expanded her role as Director of Communications for Global Operations to include leading GE Capital Communications in December 2017. She and the team focus on managing the brand and engaging employees during a time of transformation. Sharon brings her expertise in corporate communications, culture transformation, and digital to help drive synergies across the organizations. Assuming the Global Operations role in 2012, Sharon leads strategic communications programs, executive communications, and employee engagement in GE’s global multi-functional shared services operations, across 10,000 employees in more than 85 countries. Sharon and her team create a connected environment where team members are empowered to deliver better outcomes at lower cost for the GE businesses and customers. Previously, Sharon was the Project and Communications Leader in Global Operations. She established the shared services communication function and managed a suite of project management and quality tools across the organization. Her expertise in organizational change and global project management, from both a consulting and internal owner capacity, have been critical to her successes at GE. Prior to joining GE in 2003, Sharon worked at Deloitte Consulting, where she led large-scale implementations for clients in the Insurance, Financial, and Consumer Products industries. Partnering internally, Sharon led the development of firm’s project management methods and tools, while establishing the Quality and Risk management operations. Sharon earned her bachelor degree in Psychology from the State University of New York at Geneseo, and a MBA, with a concentration in Human Resource Management and Information Systems, from the University of Albany. Stacey Hoin is the executive vice president of Human Resources at GE Capital. She is responsible for developing organizational and talent strategies and leading the company's global HR team. She has been with GE for 30 years and has held a number of roles of increasing complexity across the company. Before taking on her current post in 2016, Stacey was GE Capital's Organization & Talent Development leader and was responsible for driving organizational effectiveness in support of the company's business strategy. Stacey started her career with GE in the Lawyers' Development Program. She then moved to GE Capital's Retail Finance business where she served as business counsel and labor and employment counsel. In 2002, she joined Retail Finance's Human Resources team as manager of Organizational Design and Growth. After a series of roles in that business, in 2008 she was named the HR leader for Corporate Treasury and in 2011 she was named the Senior HR leader for GE's Commercial & Communications function. Stacey holds a JD from Georgetown University Law Center and a BA from St. Mary's College. Paul Goudie is the Chief Risk Officer for GE Capital since June 2018. He is responsible for credit oversight and delivering the enterprise and operational risk framework for GE and GE Capital. Paul brings deep domain expertise to this role, with nearly 30 years of experience across a diverse range of products and industries. 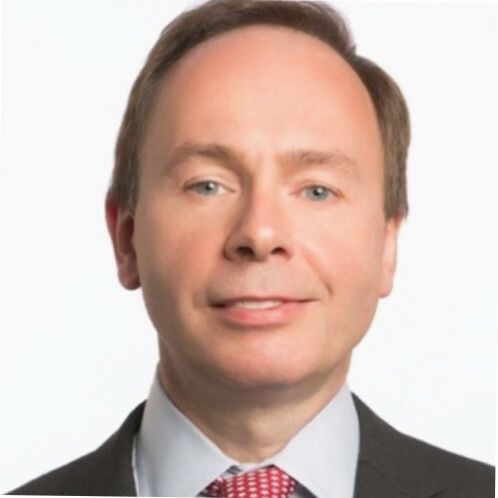 He joined GE Capital as CRO – Institutional Risk in 2015 from RBS Markets & International Banking – Americas, where he was Global Head of Risk, Asset Backed Products & US Chief Credit Officer & US Head of Market Risk. Prior to RBS, Paul was a Managing Director at Greenwich Capital Markets and served as Chief Risk Officer at Gleacher NatWest. Paul began his career as a Trainee Chartered Accountant for Clark Whitehill in London and went on to complete the Graduate Training program at National Westminster Bank. He later moved to the U.S. as Senior Vice President for NatWest Markets in NYC. 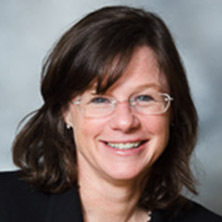 Jennifer VanBelle is the Vice President, GE Treasury & Capital Markets leader for GE Capital, responsible for overseeing the capital markets efforts of the business. Before taking on her current role in January 2016, Jennifer was the vice president and chief risk officer - Capital Management for GE Capital. In this role she led the capital management organization for GECC, focusing on the annual Capital Plan, capital management framework for stress testing, regulatory capital, and economic capital. From 2007 to 2012, Jennifer was deputy treasurer, External Affairs and Capital Management at GE Treasury, where she led the Capital and Liquidity Management efforts for GE Capital as well as managed the rating agency relationships. Prior to 2012, Jennifer served in a variety of risk, capital markets syndication and securitization roles in GE Capital. She joined the company in 1998. Prior to GE, she spent several years at Chemical Bank and ING in underwriting, risk and capital markets roles. Jennifer holds a B.A. degree in Economics from Bates College and an MSc in Finance from the London Business School. Mr. Ward is President of GE Energy Financial Services’ (GE EFS) international teams. In his role, Mr. Ward is responsible for leading the company’s worldwide financial advisory services and strategic capital investments that drive GE equipment and services revenue growth. Prior to Mr. Ward’s current role, he was Managing Director of GE EFS’ Global Markets team. In that role, Mr. Ward led GE EFS’ direct energy investments outside the United States. In the 3+ years, the team has made direct investments totaling ~$3.5B, and attracted third-party capital in excess of $10B. Mr. Ward was previously Chief Risk Officer at GE EFS in charge of underwriting and portfolio risk management for the units’ domestic and international energy assets, a position held since January 2004. During his tenure, the firm successfully invested over $35B in energy infrastructure worldwide. Mr. Ward has a Bachelor’s of Science Degree in Business Administration from State University of New York at Oswego and is a graduate of GE’s Financial Management Program. 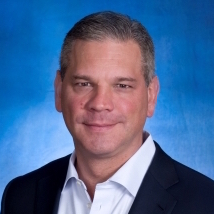 Trevor A. Schauenberg is president and chief executive officer (CEO) of GE Capital Industrial Finance, GE Capital’s new business focused on financing solutions for GE’s industrial customers. This business includes Healthcare Equipment Finance, Working Capital Solutions and Industrial Financing Solutions. 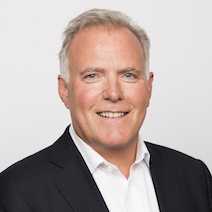 Prior to being named to his current role on January 1, 2016, Trevor was president and CEO of the Americas Direct Segment within GE Capital, including the Corporate Finance, Fleet Services and Rail Services businesses. From August 2008 to December 2013, Trevor was vice president of corporate investor communications for GE. Prior to this, Trevor served as vice president and chief financial officer (CFO) of GE Capital Americas (GECA) starting in 2006, when he was also named a company officer. Before joining GECA, Trevor was CFO of GE Infrastructure, Transportation starting in 2003. He was appointed CFO of GE Insurance Solutions Global Property and Casualty Reinsurance based in Germany in 2001, and CFO of Insurance Holdings in GE Commercial Finance in London beginning in 1999. Trevor was a member of GE’s Corporate Audit Staff for six years, becoming executive audit manager for GE Capital in 1997. He joined GE as a member of the Financial Management Program at GE Healthcare in 1991, after receiving a bachelor’s degree in finance from the University of Iowa. Trevor is a board member for the International Business School at the University of Iowa. He also sits on the board of buildOn, a charitable organization committed to empowering U.S. urban youth to transform their neighborhoods and the world through community services.